Looking to live in a suburb neighborhood that is conveniently located to everything? 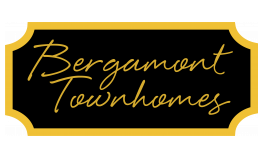 With Bergamont Townhomes, that's exactly what you'll get. Enjoy the beautiful golf course close by at The Legend at Bergamont. Savor the delicious food and drinks that Mulligan's Bar & Grill has, conveniently located right down the street! Enjoy the beautiful outdoors at Bergamont Park right up the street. Take a quick drive up Highway 14 and enjoy the city life in Madison. We are also located close to downtown Oregon, so you can appreciate everything that downtown has to offer. Check our floor plans for availability or call our office today!